On the 12th of October 1609, the popular children’s nursery rhyme Three Blind Mice was published in London. A version of this rhyme, together with music, was published in Deuteromelia (1609); the editor was Thomas Ravenscroft (c.1582-1635), still a teenager at the time of its publication. London life in the 1600s was hard for everyone. The capital was a stinky, dark city plagued by smog, disease and darkness, its streets packed with heavy traffic jams of horse carts and wagons, an abundance of beggars and street traders. Ravenscroft was a musician, theorist and editor, but was mainly busy recording oral traditions off the streets of London: rounds and catches, street cries, vendor songs, ‘freeman’s songs’ and other anonymous pieces of music which he compiled into folk music collections. One of the pieces he is supposed to have come across in 1609 was the rhyme of the Three Blind Mice, which only entered children’s literature in 1842 when it was published in J. O. Halliwell’s collection The Nursery Rhymes of England. It is speculated that the origin of the tale of the unfortunate mice came from the cruel Catholic Queen Mary I, aka ‘Bloody Mary’, one of Henry VIII’s surviving legitimate children, who was known for her merciless hounding of Protestants. The dark humour of the episode captured in these verses could relate to Mary’s execution of three leading Protestant bishops, also known as the ‘Oxford Martyrs’: Ridley, Latimer and Cranmer who were actually burnt at stake not blinded per se. 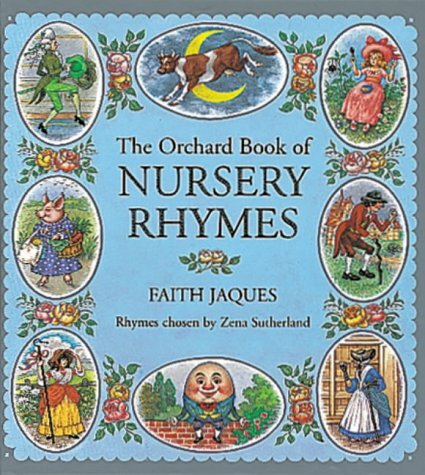 The Baring-Goulds pointed out in The Annotated Mother Goose: Nursery Rhymes Old and New (1962) that the mice’s blindness could be interpreted as faithlessness, alluding to their Protestantism and rejection of Catholicism. The bishops were tried for heresy in 1555 and burnt alive for their religious beliefs and teachings. They were tried at University Church of St Mary in Oxford, imprisoned and burnt at the stake just outside the city walls. Latimer and Ridley were burnt on 16 October 1555, while Cranmer, the Archbishop of Canterbury, five months later. Although these happenings occurred a good half century before the rhyme was recorded, could the trials of the three clergymen really have been transmitted by word of mouth and survived till the present day? Whether this is true or not, it does make for a good story and, to some extent, satisfies our curiosity about the origins of this darkly comic riddle. Thanks for the follow. Interestingabout the 3 mice. The martyrs link seems a bit tenuous. Like many things of this age, the origins are too far away to ever be known. I didn’t know this all! You have a fascinating blog! Very interesting, thanks. I thought that Queen Elizabeth the first was also a daughter of Henry VIII. Thanks for showing an interest in my blog too. Thanks for following my blog – it’s amazing how people manage to produce satirical work in the form of rhymes through the ages. That’s fascinating! What an interesting side of history. Henry VIII’s ONLY surviving daughter? Did you forget about Elizabeth I? ?